A Saudi online activist has been jailed for seven years and sentenced to 600 lashes for urging religious liberalisation, his lawyer has said. 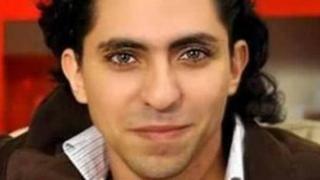 The activist, Raef Badawi, co-founded the Free Saudi Liberals website, an online forum for public debate. He was arrested last year and convicted on Monday of setting up a website that undermined general security. Lawyer Waleed Abu Alkhair told the BBC that Mr Badawi, a father of three, had confirmed in court that he was a Muslim but told the judge "everyone has a choice to believe or not believe." Mr Alkhair said the charges were over comments the activist posted calling for a relaxation of Saudi Arabia's strict interpretation of Islam. The lawyer said the sentence was unduly harsh. "The lashes could be spread out but in Sharia this is a sign that the judge wants to insult him," he said. His lawyer said he will appeal against the decision.